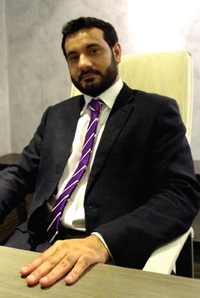 Ahmer Arif brings with him years of valuable experience in the sphere of Trade & Investment Development. Having worked previously as Deputy Director, UK Trade & Investment Pakistan, he is considered to be a leading expert in this area. Ahmer has vast experience of working in private and public sectors both in Pakistan and UK, and has a good understanding on how both these sectors operate and can partner to create sustainable business solutions. He has experience in trade development and policy advocacy with a background in Accounting and Economics. His skills are research and policy development, and creating a working relationship with local businesses and government departments to recommend and lobby policy amendments to improve the business environment of Pakistan.